Mike Cannon-Brookes, co-founder of software company Atlassian, is an Australian business success story. In this surprisingly personal talk, he reveals how he constantly feels like an imposter, but how he’s learned to harness those feelings for his benefit. 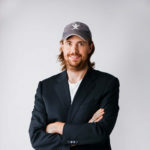 Mike Cannon-Brookes is the co-founder and co-CEO of Atlassian, a collaboration software company that helps teams organise, discuss and complete shared work. More than 68,000 organisations – including some of the biggest names in media, manufacturing and technology such as eBay, Twitter, Coca-Cola, Visa, BMW and NASA – use Atlassian’s products to work smarter, faster and be more agile. Mike has received international recognition for his work, including the “Australian IT Professional of the Year” award in 2004, “Australian Entrepreneur Of The Year” in 2006 and “Australian Business Person of the Year” in 2017. He’s also been honored by the World Economic Forum as a Young Global Leader in 2009 and is currently a member of The Forum of Young Global Leaders. Outside Atlassian, Mike is an active angel investor and a non-executive director of Tyro, a technology-focused Australian bank. He serves as an adjunct professor at the University of New South Wales’ School of Computer Science and Engineering, as well as chair of the Computer Science and Engineering Industry Advisory Board.